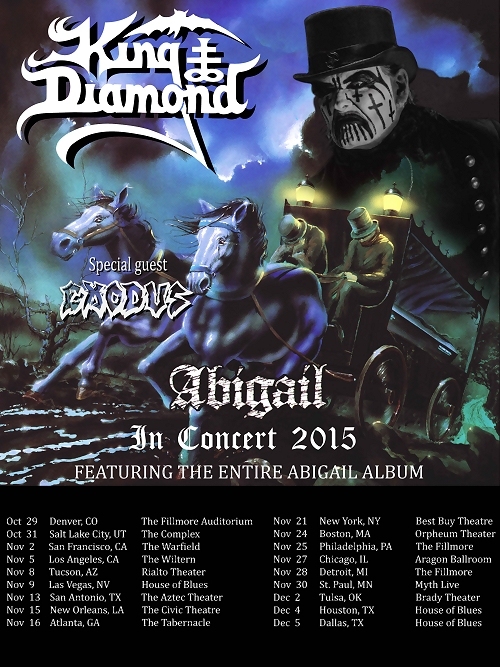 EXODUS Hits the Road on KING DIAMOND’s ‘Abigail in Concert 2015’ U.S. Tour this Thursday! 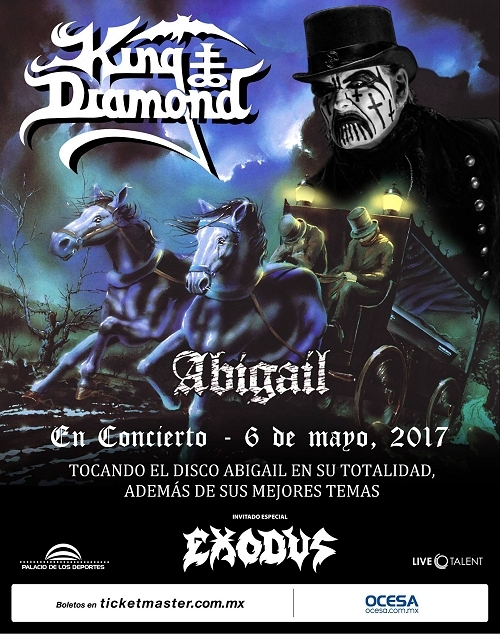 Thrash metal giants EXODUS are about to hit the road in support of headliners King Diamond on their “Abigail In Concert 2015” U.S. tour! 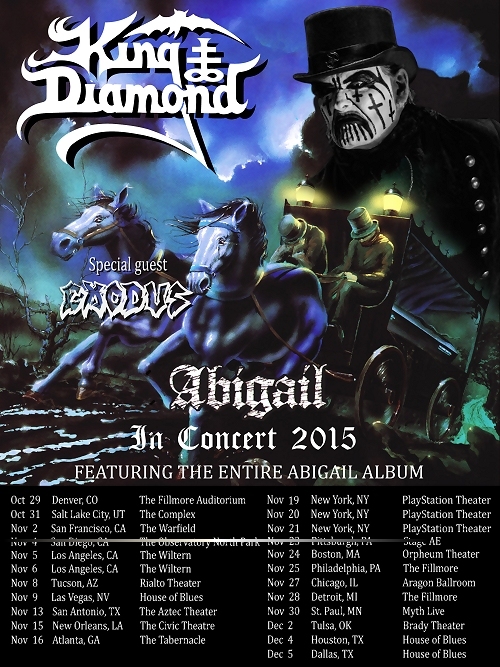 The tour kicks off this Thursday, October 29th in Denver, CO, and includes several EXODUS-onlyheadlining off dates. On this tour, the band will play select tracks from the EXODUS archives plus new Blood In, Blood Out tracks for the first time ever, making this a historical run for the ages! See below for all tour dates, including the band’s upcoming European headline run. Tickets are on sale now for both tours, so visit www.EXODUSATTACK.com now for details and to purchase tickets.